Naples Real Estate Blog - Real Estate News from Naples to Estero, Florida. : Raffia Preserve Naples - Amenities Center Now Open! Raffia Preserve Naples - Amenities Center Now Open! 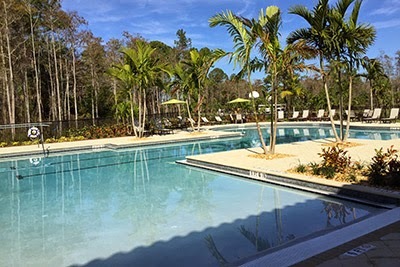 The new amenities center is now open in Raffia Preserve, a new gated community in development in North Naples. The amenities center offer a clubhouse with large social room, catering kitchen, manager office, a large covered outdoor area, a state-of-the-art fitness center, a resort-style pool. A basket ball court and a playground are also part of the complex. First residents have already moved in Raffia Preserve which offers Executive Homes on 52' wide lots and Estate Homes on 62' wide lots. Raffia Preserve offers a choice of 17 floor plans! Pricing starts in the high $300s. At completion, Raffia Preserve will offer 363 homes surrounded by 72 acres of preservation area.